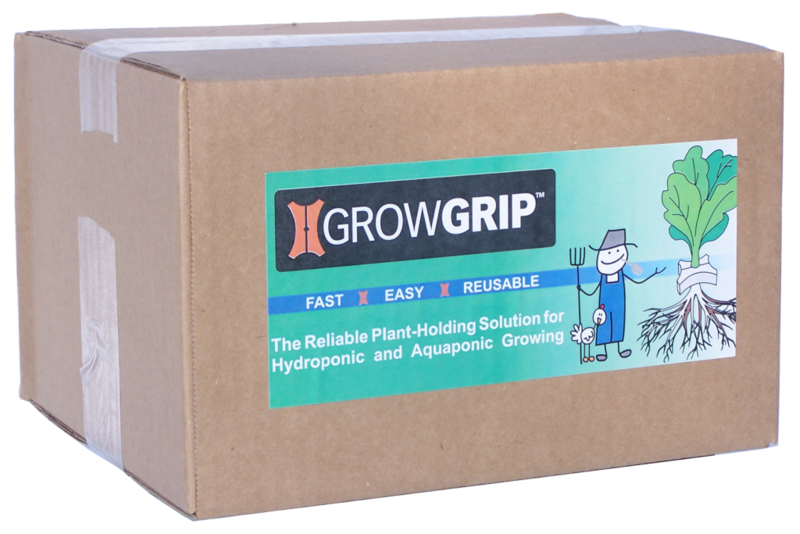 A GrowGrip is a low-cost, reusable plant holder used for deep water culture (DWC) applications in hydroponic and aquaponic growing. 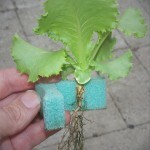 GrowGrips are designed to replace common plastic net pots and grow plugs. They are ideally suited for growing leafy greens, such as lettuce, in home and commercial applications. 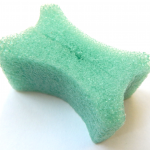 GrowGrips are made with a recyclable, food-grade, UV resistant low-density polyethylene foam, the same material used to package many common food products. 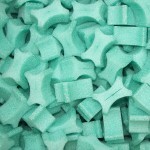 Super Light Weight: GrowGrips weigh less than one gram each, lighter than all other grow plugs. 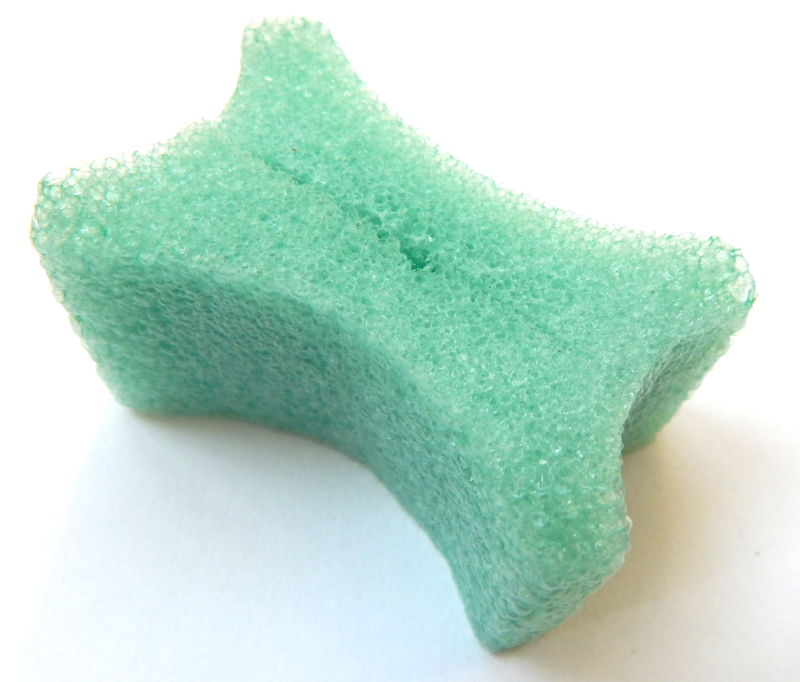 Compared to a 2″ net pot with gravel, they are 50 times lighter. If you had a raft bed that holds 36 plants, it would reduce the weight of each raft by 3.7 pounds (1,700 grams). Reusable: After harvest, GrowGrips can be used repeatedly. We believe our product to be more environmentally friendly than the manufacturing of rock wool, a non-biodegradable product, and more earth conscious than the mining of peat from valuable wetland areas. 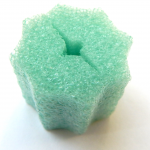 Recyclable: GrowGrips are recyclable and can be added to recycling programs accepting standard #4 LDPE plastics. Disease-Resistant: Soil, peat, and rock wool mixtures can harbor many types of plant disease. Because of the inert properties of GrowGrips, disease is resisted. To sanitize, simply wash GrowGrips in a mild bleach solution. Chemically Inert: Use GrowGrips and know your water chemistry will not be affected. Our product is chemically inert, unlike peat plugs, which are highly acidic. Switch to GrowGrips and stop spending money combating the acidity of your system water altered by the use of grow plugs. Affordable: GrowGrips are slightly higher in price than grow plugs, but after a few uses, the return on your investment has paid off. After that, it’s more money in your pocket every time you use a GrowGrip. Gripping Power: Imagine having the option to carry a raft of lettuce vertically. With the grabbing power of GrowGrips, net pots, plants, media, and plugs no longer come tumbling out as rafts are handled. Now there is no more awkward horizontal balancing of rafts while maneuvering in and out of DWC beds. The entire GrowGrip product is manufactured in the United States. Not only does this allow us to closely monitor quality control, it also helps slash overseas shipping costs, keeping the overall cost affordable to our customers. 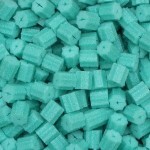 Bulk Quantities also available for commercial growers please contact for pricing and shipping costs.